This is the first book in the Watson Brothers series as well as the first book that I have read by Ann B Harrison. The book was set in the magical town of Marietta which I always love reading about as it now feels so familiar due to the many books that I have read that was based in the area. For me personally, the idea of a mail order bride who instantly fell in love with her husband was a bit far fetched an unrealistic. I liked Callie's character because she was strong and independent and was straight forward, however I disliked how she instantly fell into bed with Chance as well as forgot about her sisters towards the end of the book. Chance's character was okay, but I felt that we did not get to know him well enough to form a solid opinion of him. The chemistry between Callie and Chance was good, but again it was not realistic especially for someone suffering with an injury. The secondary characters were well written and spiked my interest in the next few books in the series. Overall this was a far fetched story set in the magical town of Marietta, however I am interested to read the next book in the series. Callie is an Australian girl whose parents have just died leaving her with a large amount of debt as well as her sisters responsibility, so when she sees an advert for a ranch manger in Colorado she cant resist, however the contract stipulates marriage. 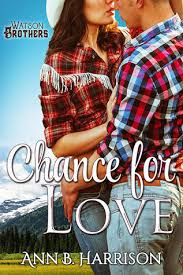 Chance is a famous bull rider who is unhappy with the life filled with glitz and glamour, so when an accident leaves him unable to return to riding he decides to fulfill his dream of marrying a down to earth girl who will raise bulls with him on his ranch. Little did he know that his Australian mail order bride will turn his world upside down.